Network professionals from system administrators to computer support specialists looking to expand their skill set and increase their earning potential can do so by obtaining Cisco certification. Having your CCNA (or other Cisco credentials like CCIE or CCNP) can often translate not only to more pay and better job opportunities, but it might even allow you to transition from clocking in 9am to 5pm on site, to working a more flexible schedule, or even landing that coveted spot working remotely from home. Whatever your driving force, the first step on the road to getting your CCNA is doing your research. Though no specific degree is required as a prerequisite to taking the CCNA, many people find that a degree in computer or information sciences can help them broaden the number of opportunities available to them once they have gotten their certification. What is CCNA and how will it help me grow my career? There are 2 basic ways to get your CCNA. The first way is to complete your ICND1 and ICND2 (this option is best for those who are unsure of their plans for the future or anyone who doesn’t have the time available to study for and take the full CCNA exam). Once you’ve passed your ICND1, you’ll have your CCENT certification (Cisco Certified Entry Networking Technician) to contend with. 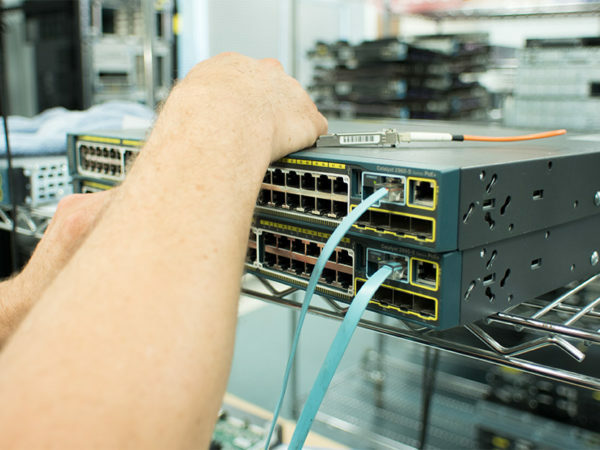 The CCENT is the entry-level network support exam, once you pass, you’ll have the knowledge and skill set to manage a Cisco small branch network. Couple that with your successful test on ICND2, and your next stop is CCNA certification. The second way (and the choice that works best for those want to fast track) is to skip ICDN1 and ICDN2 exams and goes straight for your CCNA exam. When you’re finally ready to take your exam, you’ll need to register for the test (See how below.) On the day of the test, be sure to come prepared to take your time and work through each section carefully and methodically. When it comes to studying for your CCNA certification, you’ll want to choose the learning style and environment that best suits you and your lifestyle in order to ensure you complete your studies in a timely manner so you can move on to testing as soon as possible. The longer you drag it out or put it off, the less the likelihood of your success – so don’t procrastinate. The other option is self-study – this low cost option works best for those who are self-motivated or those whose work schedules require it. This approach allows you to study flexibly around your own schedule, using a combination of textbooks, practice exams, and maybe even your own inexpensively built, home-based lab. Check out How to Study on Your Own Time with a CCNA Home Lab for more information. Regardless of the path you choose, you’ll be expected to know networking fundamentals, routing concepts and LAN switching, as well as terminology and those all important hands-on skills in order to achieve CCNA certification. Taking your CCNA is much more than just taking notes or memorizing theoretical situations and their textbook solutions, it’s hands-on problem solving in real time, just like the work you’ll be doing. Because of this, it’s important to make sure you get your hands on the right equipment for familiarity and practice. You can do this through camps or classes, or even by building your own home lab. CCNA certification exams may be taken only at authorized testing centers. You can register online at Pearson Vue up to six weeks in advance. Though most exams can be completed in two hours, your labs may take as much as eight hours. Certifications are valid for three years, at which point you can retake the CCNA certification exam, pass a CCNA Specialist exam, or complete a more advanced certification level in order to be considered re-certified. Below you’ll find pertinent information for planning and scheduling your test. You don’t have to stop with the CCNA—getting your CCIE is another major step in advancing your IT career. Here’s how to get your CCIE certification.